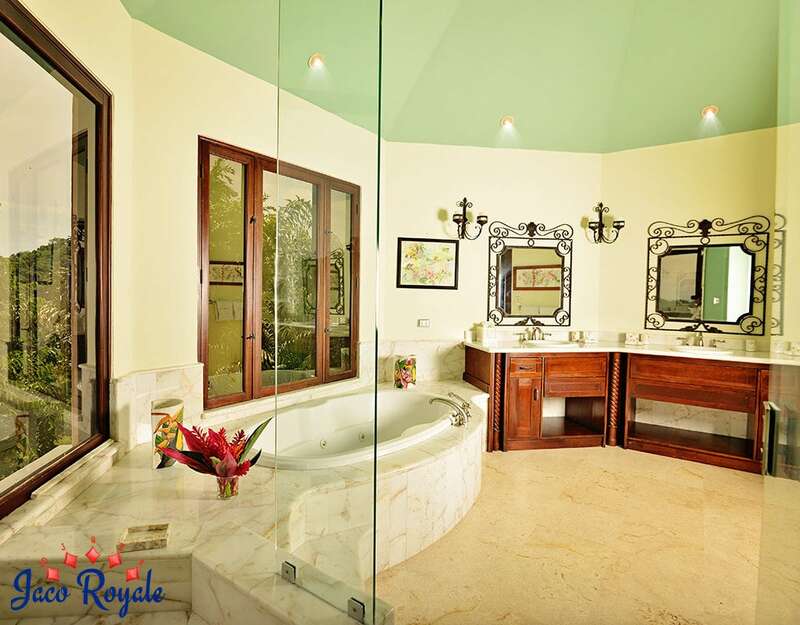 If you prefer nature to noise, a breathtaking backdrop to a claustrophobic party ambiance, Royale Hibiscus is the answer to your needs. 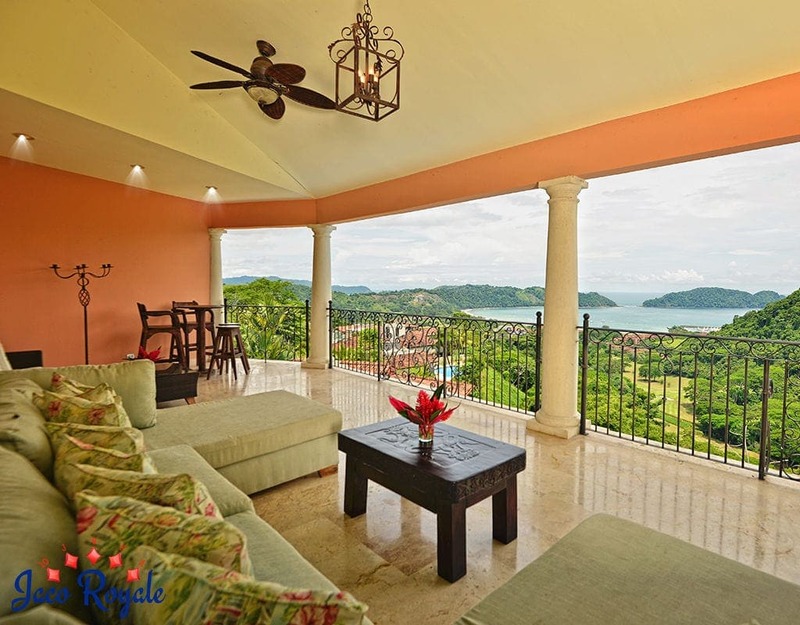 Feed your soul on the serene vistas that surround this elegant sanctuary in Herradura. 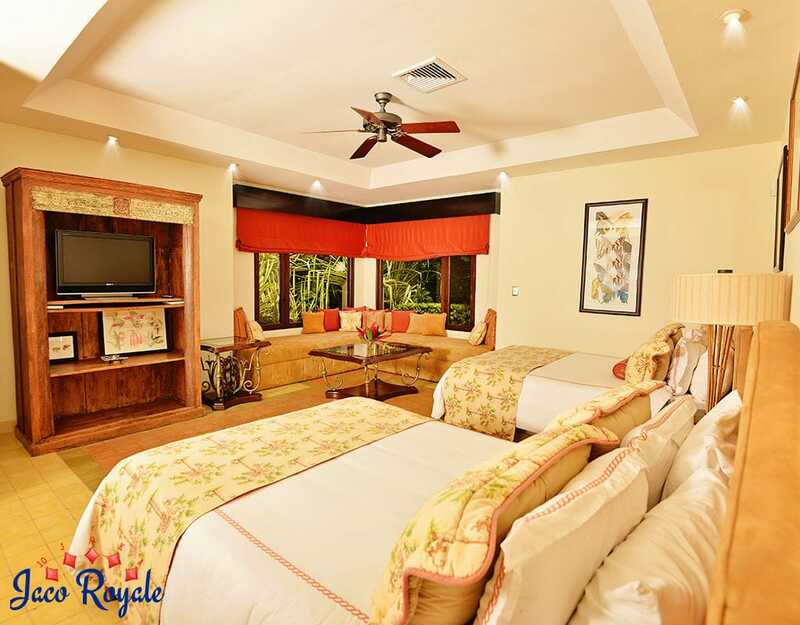 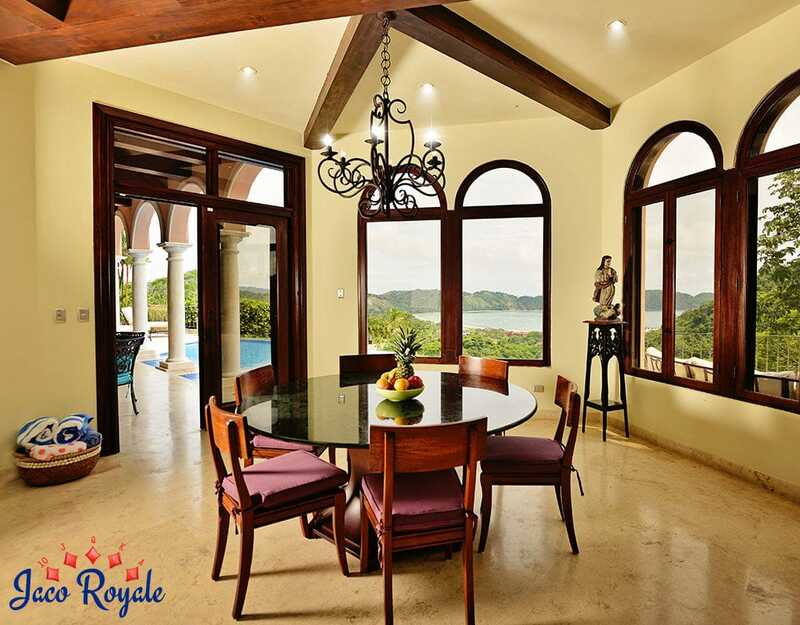 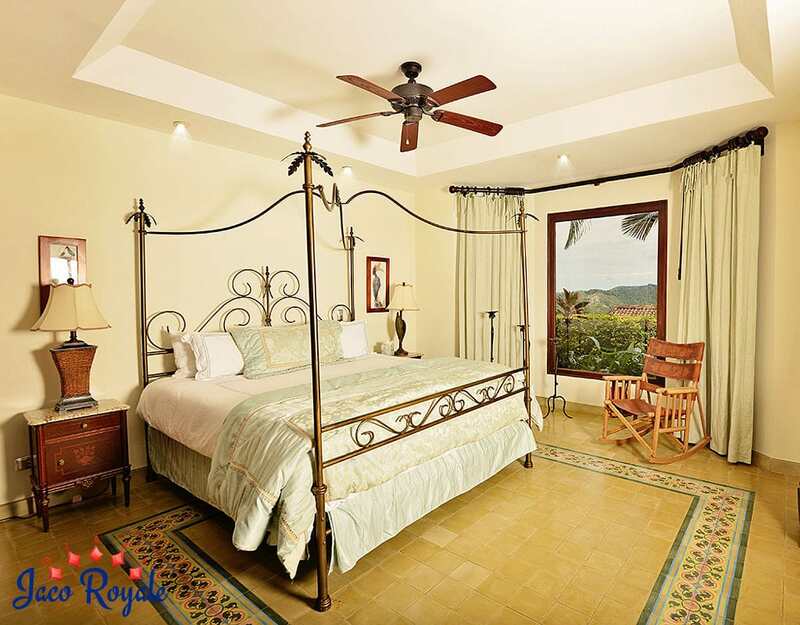 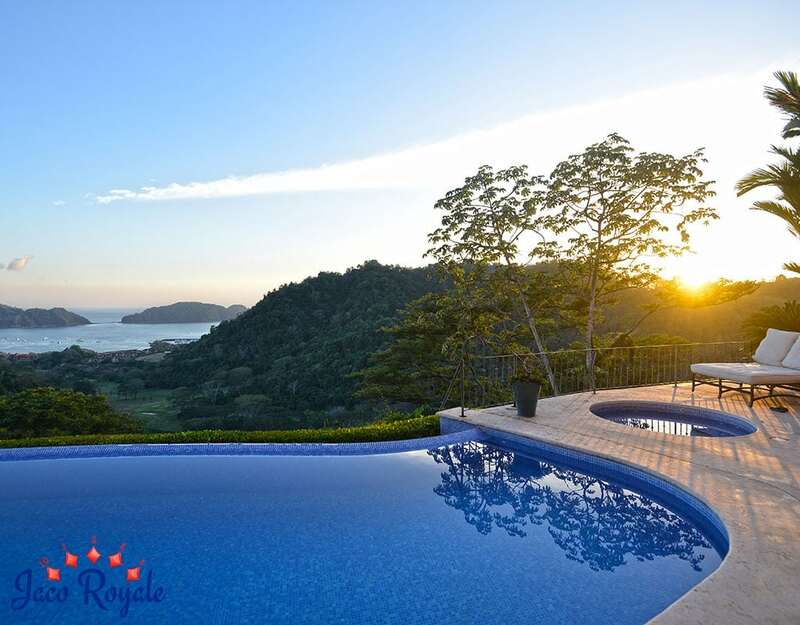 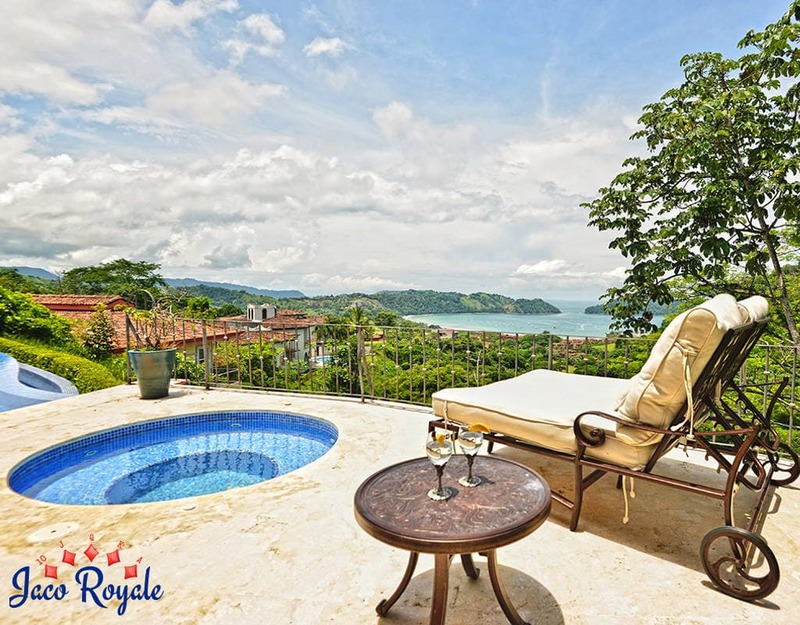 Perched on a hilltop in Los Suenos Resort, the Royale Hibiscus holds a commanding view of everything around – the Pacific, La Iguana Golf Course, Los Suenos Marina, and the rainforests. 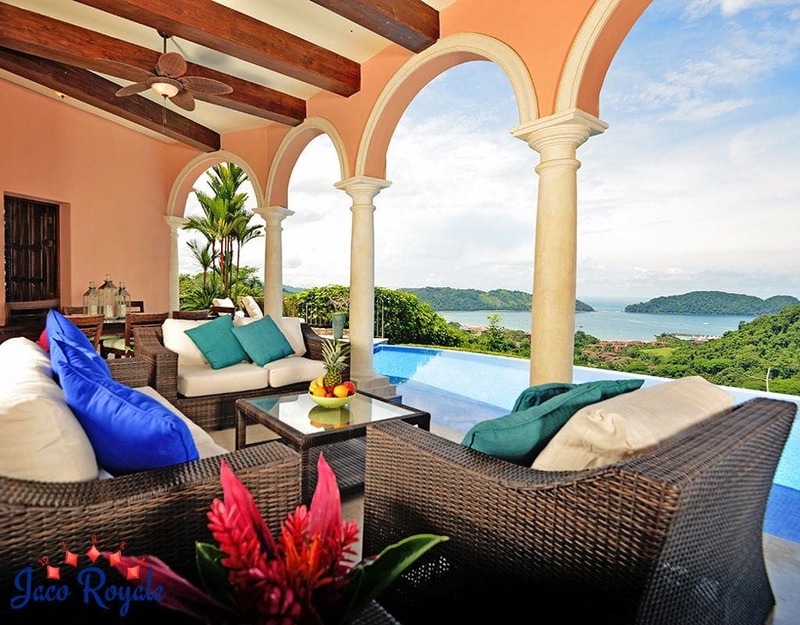 Revel in the splendor from the private terrace on the first floor. 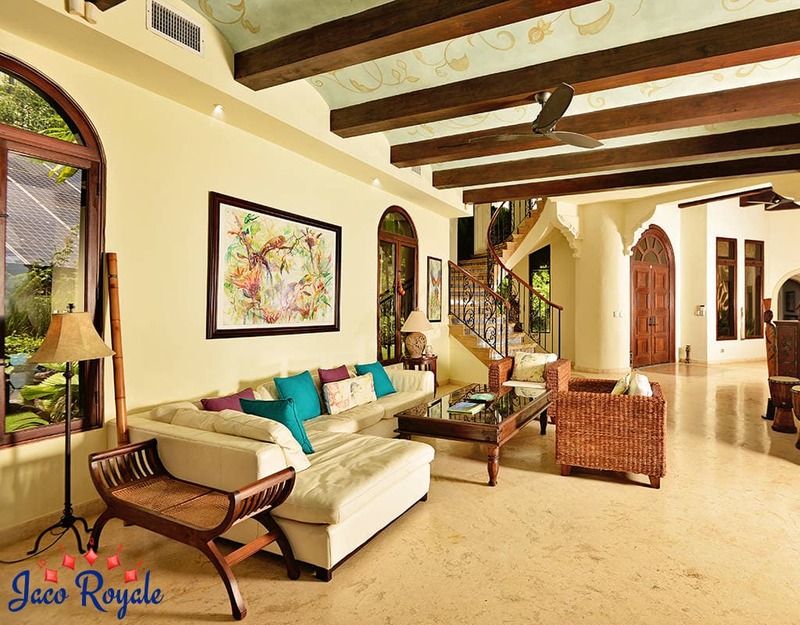 The fully air conditioned villa, which can house 15 people, has a master suite on the first floor and four bedrooms downstairs besides a gourmet kitchen, TV and lounge area, and a garage. 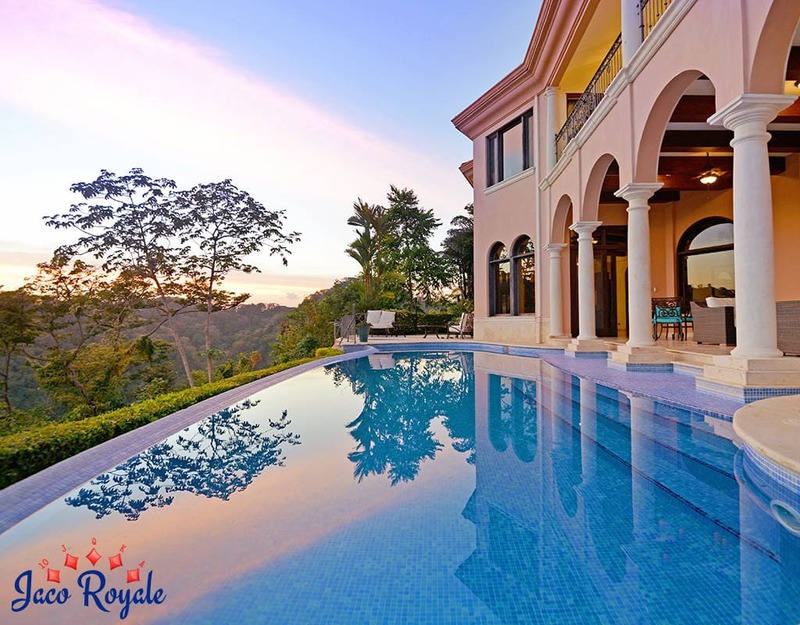 The pillared terrace leads to an infinity pool and jacuzzi. 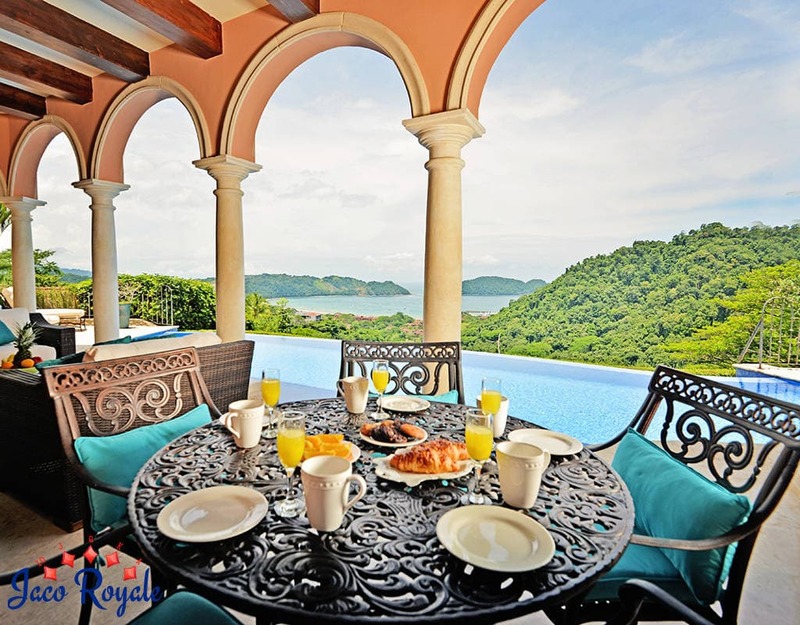 With a large fresco dining area, lounge chairs, and grill, the pool area doubles up as a relaxation center. 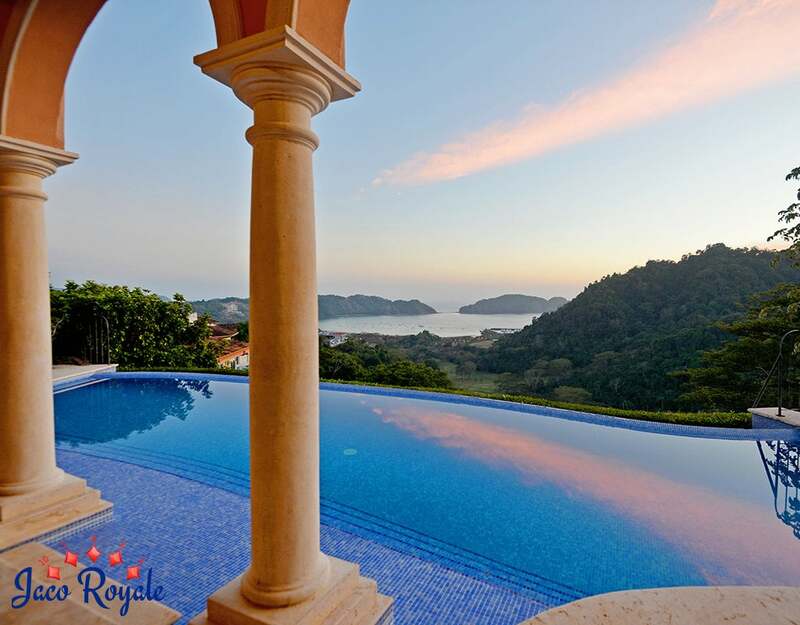 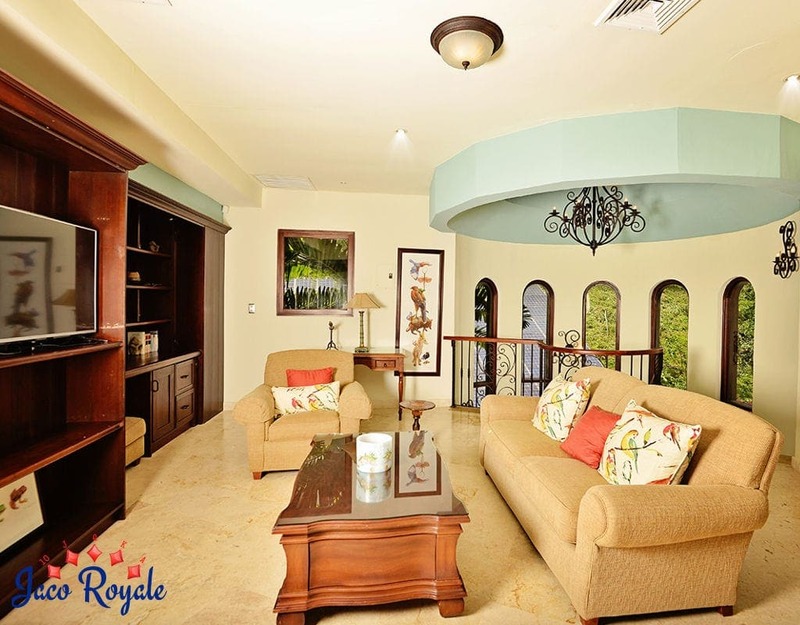 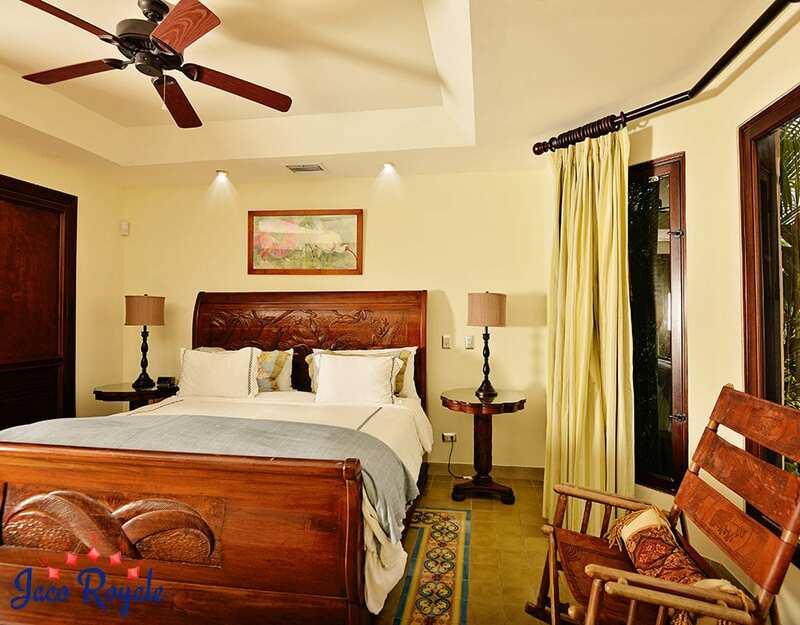 The villa’s location makes it ideal for swimming, playing golf, sportfishing, and nature tours.